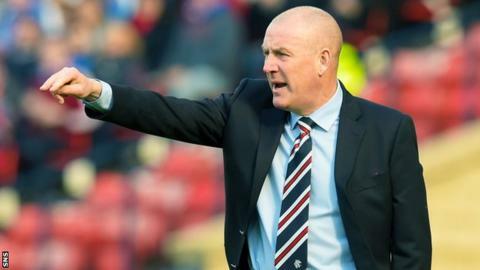 Graeme Souness says Rangers boss Mark Warburton could be in for a shock when he gets his first taste of the Old Firm in Sunday's Scottish Cup semi-final. Warburton, who has led Rangers back to the Premiership, says the Hampden clash is just another game of football. But Souness, player-manager at Ibrox from 1986 to 1991, insists it's the biggest derby he's ever encountered. "I've been in Merseyside derbies and Galatasaray v Fenerbahce is a big match but it doesn't come close," he said. "Nothing prepared me for the passion and the enormity of this job. A lot of the enormity is in your own mind because you feed off the passion your supporters have for your football club. "You absorb that and start to feel guilty when you've not done the best for them. So Mark must feel that. "He's been here long enough to realise what these two clubs mean to their supporters. It's greater here than anywhere else. And that's why it's not just another derby." Souness, 62, also played for and managed Liverpool, and was also boss of Turkish side Galatasaray, Italian club Torino, Benfica in Portugal and English side Newcastle, among others. He won three Scottish titles and four Scottish League Cups at Ibrox but lost to Celtic in the Scottish Cup in three successive years from 1989 to 1991, experiences he describes as his worst in football. "When you win it is a great feeling but on the opposite side, losing is the biggest disappointment I have had in my professional career," he said. "There is an up-side when you win - you are very much elated. But to lose it has the opposite effect - it is with you for a long time." Souness helped transform Rangers when he took over at Ibrox 30 years ago, setting the foundations for the nine successive titles they won from 1989. But he believes current boss Warburton has faced a much tougher re-building job since his arrival last summer, after the Light Blues' failed attempt to return to the top flight via the play-offs. The former Brentford boss breathed new life into the club with his attacking philosophy, clinching the Championship crown last week and adding the Petrofac Training Cup on Sunday. "He's had a far more difficult job than I had," Souness added. "There were so many things that worked in our favour at the time, such as the problems English football had. "We could match any one of the English teams for their spending power. English teams were banned from Europe, so we had lots of things going for us. "That job was a lot easier for me that it was for Mark taking over at Rangers this time. I think he deserves a great deal of credit. "I don't know the guy but I sat next to him at Wembley for the Norwich-Middlesbrough play-off game. I spent maybe 10 minutes talking to him but found him to be a very impressive, calm, nice human being. He's done a great job."